Road traffic accidents are the most common claims that personal injury solicitors may be asked to handle, with more and more drivers on the roads in Britain, more car crashes are to be expected. You can pursue a claim following a traffic accident, whether you are a driver or a passenger, as long as we are able to verify that the other driver caused the car crash because they were driving their vehicle negligently. Negligence can occur on the road in any number of ways, commonly, for example, if the other driver was driving too fast, if they changed lane recklessly or without indication or if they failed to stop at a give way junction. 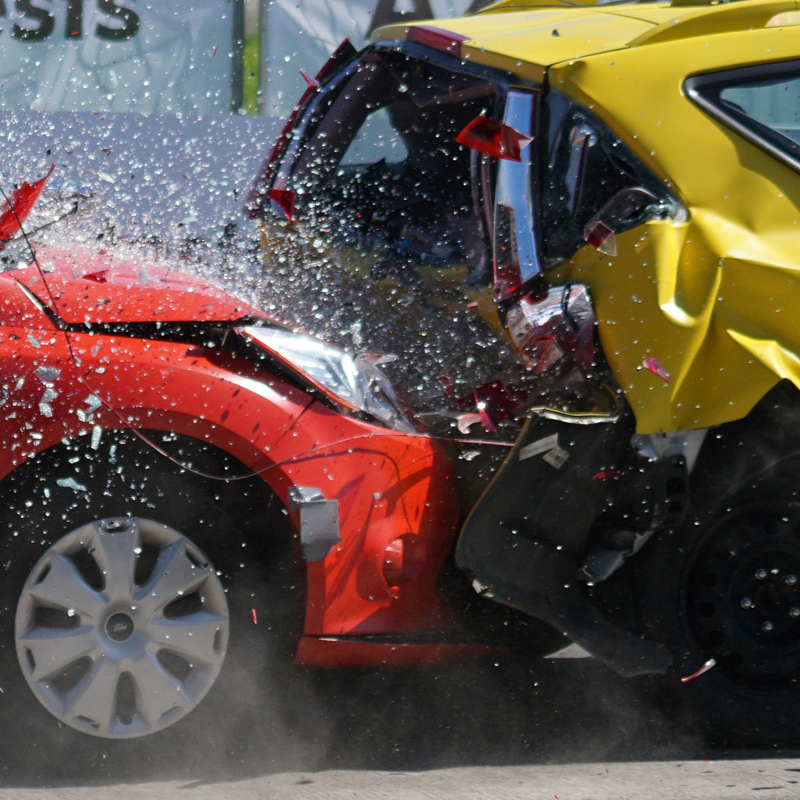 Liability is sometimes contested following a traffic accident; however the Highway Code together with previously decided court cases lays out guidelines to assist in determining liability before the law as well as the appropriate level of compensation owed for any damages or injury sustained. You can also claim if you were a pedestrian in the incident and have been injured because of the way in which the vehicle driver drove. For example if they mounted the kerb and ran over your foot or if they did not stop while you were stepping out onto a zebra crossing. It’s not always strangers who cause the traffic accident. If you were a passenger in a vehicle that was driven by your friend, relative or colleague and they acted negligently causing you injury, you can still claim against them should you wish to. Their Insurance Company will settle your claim if appropriate. Even if the driver who caused the accident is not insured or they have disappeared from the scene of the accident, you can still claim. Our client had crossed half of the road when they were hit by a speeding vehicle. Our client sustained facial and dental injuries together with a permanent scar. We recovered over £24,000 in compensation. To speak to a personal injury solicitor about a possible claim please call us on 0161 624 6811 or use the form below.